"All around he is a great doctor and person. We highly recommend him!" "Dr. Kar is fantastic! He is incredibly knowledgeable and has a way with the kids. " "Dr. Kar - is best of class pediatrician in Orange County! " "I highly recommend Dr. Kar to any parents who want to get the best care for their babies"
"I highly recommend Dr. Kar to all my friends and families!" Romit Kar, MD, of Newport Beach, California, is the founder and board-certified pediatrician behind Kar’s Pediatrics. Dr. Kar provides care for infants, children, and young adults. He is committed to evidence-based medicine and has a personal approach to each patient and their family in his care. A native of Orange County, California, Dr. Kar began his formal education at the University of California Irvine where he completed his undergraduate studies. He went on to complete his Medical degree at St. George’s University. Following Medical School, he completed his pediatric internship and residency at the University of California, San Francisco. During his training, Dr. Kar developed a passion for obesity prevention, which he has taken with him as he works with children and their families. After working for a few years to build his experience and refine his skills, he opened his private practice, Kar’s Pediatrics, in 2018. 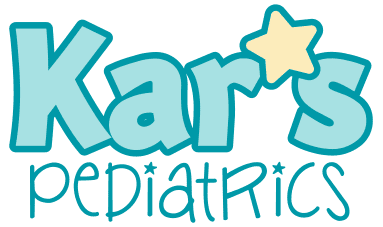 Dr. Kar takes pride in his personalized care, striving to always be available both in the office and after-hours to answer questions or speak to the concerns parents have for their children. Whether you are a breastfeeding mom or trying to help your middle-school-aged child navigate puberty, Dr. Kar is a partner in helping you and your family be as healthy as they can be. We accept many insurance providers. If you do not see your provider listed here please call our office! "All in all, I would highly recommend him. His office staff is friendly and remember my son's name. His office is spotless and clean." "Dr. Kar is very caring and takes his time answering any questions and goes above and beyond to provide additional information that has been very helpful." "Not only does Dr. Kar have great bedside manner, he actually listens to my concerns as a parent and genuinely cares about my family's well being. " "Dr. Kar is personable and caring, always ensuring that both parents and child have all concerns addressed."